Come along to our fun, free, family day on the 4th floor of the Royal Armouries where we explore the themes of conflict and the environment. You can play games, write stories and listen to them and get creative. Come and meet the Big Bookend team! We will be on the 4th floor in the picnic area along with Susan Burnett, author of On That Day I Left My Boyhood Behind and one of our WW1 competition judges. You can chat to her about her WW1 hero grandfather, Norman Woodcock. Meet children’s author Daniel Ingram-Brown, writer of The Firebird Chronicles: Rise of the Shadow Stealers and who is also one of our WW1 competition judges. Come and get some top writing tips for free!! 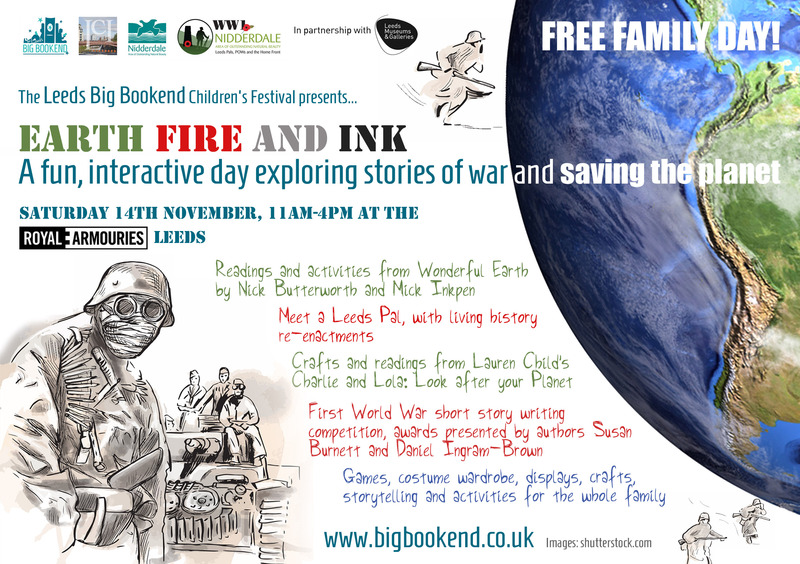 The lovely folk from the My Learning team at Leeds Museums will be on hand with some fun activities. You can make your own war medal and find out what it was like to fly in WW1. Get interactive with crafts inspired by Charlie and Lola: Look after your Planet and Wonderful Earth. Ever wondered what it was like to be a soldier in WW1? You can talk to a WW1 Tommy. What was it like to work in a factory making ammunition? Meet a Barnbow Lass. 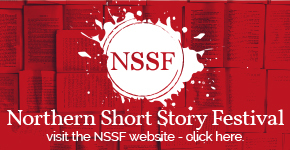 • The First World War short story writing competition awards will be presented to the winners by authors Susan Burnett and Daniel Ingram-Brown. This will take place from 3pm-4pm in the Dojo on the 4th floor at the Royal Armouries and will be for invited guests.